Cars have become an essential asset to most people’s lives. Some people just see their cars as a way of getting from A to B, whereas others take pride in enhancing their cars and modifying them to what they desire. Here at Insure The Box we do not insure any car that has been modified. We feel that modifications to cars can be dangerous, and can contribute towards accidents, especially if modifications haven’t been carried out professionally. Modifying a car can seem exciting and appealing to many drivers, as it does mean that you get to create something that is personalised to your taste. However, it can increase the likeliness of theft and decrease safety ratings, if it isn’t modified professionally. All of which, according to MoneySupermarket, will increase your insurance premium – as insurers believe cars that are modified are at more risk of accidents and theft. It is a legal requirement to tell your insurance company if you have purchased a modified car, if you are modifying your car or if you make any cosmetic changes to your vehicle. If you don’t, your insurance policy will become invalid. An invalid insurance policy results in you being an uninsured driver, which carries a host of consequences – especially if you are involved in an accident. So what is classed as a modification to a car? MoneySupermarket explains how a modification to a car is a change made to a vehicle so it is no longer the same as it’s original manufacturer state and specification. Modifications are made to cars to supposedly improve a car’s aesthetics or performance. Piston Heads explains how the most common modifications to cars include; tinted windows, body kits, bigger and louder exhausts, neon lights under a car, lowering the suspension and adding subwoofers. But are all of these legal, and do they affect your car handling, safety and insurance premium? A popular modification with people of all ages are tinted windows. Rear windows and the rear windscreen can be tinted, and UK Law states there are no restrictions to doing so. The front windscreen and front side view windows are, on the other hand, lawfully restricted when it comes to the amount of tint allowed, according to gov.co.uk. Legally, at least 75% of light must be allowed through the front windscreen, and 70% of light through the front side windows. However, we feel it is unsafe to have tinted windows on any window of a vehicle due to them restricting the driver’s ability to see and assess situations. In some serious accidents tinted windows are even thought to have been a contributory factor towards the accident. 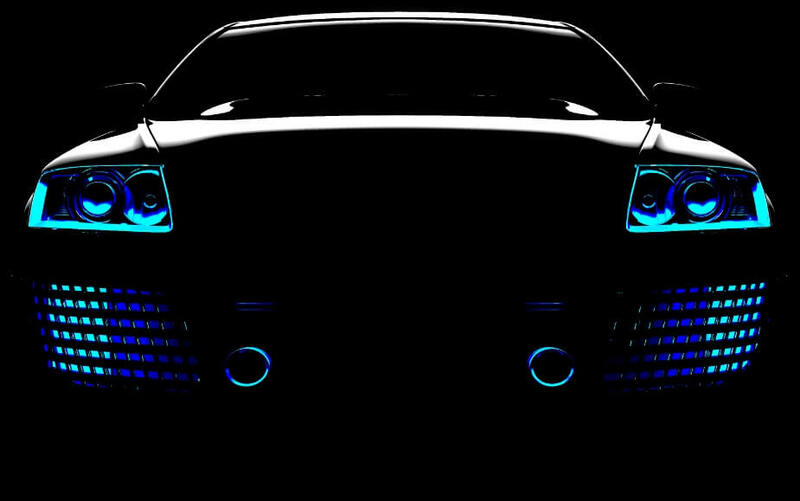 Thanks to movies such as Fast and Furious, under-car neon lights reached the peak of their popularity a few years ago and are still a favoured modification today. There are however, many rules and regulations to having these on a car, as well as any modifications made to lights on any part of the car. Only white lights can be fitted to the head lights at the front and red lights to the back of the car. Washer jet LED lights are prohibited, especially coloured lights. Flashing lights are not permitted on any part of a car, inside or outside, unless it is an emergency or recovery vehicle, and no green lights are to be fitted to any part of a car either. Traffic Accident Advice explains how you can have neon lights under your car, but you are not allowed to see the tubing and it cannot be so bright that it will distract you or other road users – a glow is deemed as acceptable. Although having neon lights may be deemed as being appealing by your friends, the police can and do take a different view. You are more likely to be pulled over with them on and can also cause distraction to other drivers and pedestrians. We, again, do not advise adding or altering lights to your car, because these can become a potentially dangerous distraction. Often when modifying cars, owners like to change their exhausts to make them bigger and louder. But exhaust modifications that have been created to make them noisier are illegal and can result in the driver having an on the spot fine, and the possibility of the car being taken off the road until it is put back to the legal manufacturer specifications. This therefore is an unadvisable modification to a vehicle. These aren’t necessarily illegal, and can be fitted to cars. However, they do impact upon safety. For example, many drivers wanting to modify their cars like to add a bigger bumper to make it look unique or sporty. These body kits are often added onto existing bodywork, or replace current bodywork, resulting in the safety of the car being compromised. Bumpers for example are made with safety in mind, for the driver and passengers, but the body kit bumpers are not necessarily made to meet the safety standards required – often crumbling under the tiniest of impacts. Lowered cars are not necessarily illegal, but they do attract the attention of the police and there are rules in place for this kind of modification of your vehicle. A car can be lowered, but it cannot interfere with or alter the steering, and it cannot affect the height of the headlights or make them too low – resulting in their height being illegal. Another issue faced with lowering a car is its ability to clear a road surface, such as speed bumps. If it is too low then it will struggle driving over these obstructions, and result in significant damage to the underside of the car. Over-lowering can also reduce the effectiveness of the way the car handles, putting the driver and passengers at risk. Manufacturers have designed cars with safety in mind, and as an insurer we are committed to improving safety on the roads. We do not believe it is necessary for any vehicle to be modified, whether mechanically or aesthetically, to improve its handling or speed. Please give our customer service team a call, on 0333 103 0000, if you are unsure whether a particular alteration to your car is classed as a modification.